← “Magnificent at so many levels!” 5 star pioneer ratings! Revisiting the histories of Judas Iscariot and Mary Magdalene. Was Judas Iscariot (Sicarii) framed by Paul (Saul) of Tarsus? Did Paul (Saul) of Tarsus "demonize" Mary Magdalene? Did Mary Magdalene act as wife to the man whom we today incorrectly refer to as Jesus the Christ and was she a mentor to Judas Iscariot (of the Sicarii); Moreover, was Judas Iscariot actually the most devoted, loyal and trusted disciple of Jesus? 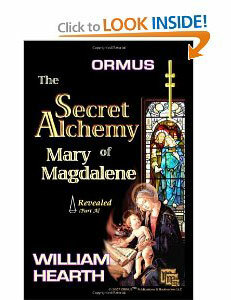 Was Mary Magdalene a well-respected leader among the early Jesus movement: Was she THE Migdal-Eder i.e. “Tower of the Flock”? Was she one of THE principal Leaders? If there was no Catholic Church during their lifetime, then why would Mary Magdalene and Judas Iscariot (Sicarii) have been considered heretics and by whom? Did Judas really betray Jesus and Mary, or did Saul (Paul) of Tarsus and other detractors of Mary Magdalene, frame Judas Iscariot and deceive Peter? Did Saul (Paul) of Tarsus (and later, his following) wage a campaign of terror and character assassination against Mary Magdalene and Judas Iscariot (Sicarii) and their descendents, even long after Paul’s (deceitful) so-called conversion, and throughout the days of the early Ebionite Church (and later during the Templar executions and other Inquisitions directed by the Catholic Church)? Did Saul (Paul) of Tarsus instigate the defamation of (and assassination of) James the Just, the brother of Jesus? Did Saul (Paul) of Tarsus instigate the assassination and defamation of Judas Iscariot (a Sicarii, and the most devoted disciple of Jesus)? Was the original Jesus Movement actually a Goddess sect derived from the ISIS Mystery Schools of Egypt -a movement that had every intention of undermining the male chauvinist YHWH cult that ruled UrSalem through intimidation, fear and guilt-ridden psychosis? What is the terrible secret that orthodox clergy, both ancient and modern, feared so much regarding Jesus and Mary Magdalene’s campaign? Why would they have assassinated Judas Iscariot (Sicarii) and James the Just (the brother of Jesus)? Why were the orthodox clergy compelled by Papal Bull, for over two thousand years, to commit murder and wage a campaign of torture, terror and defamation in order to prevent the people from discovering the Truth about Mary Magdalene, Judas Iscariot (Sicarii) and their rival Paul (Saul) of Tarsus? Where is “Tarsus”? What is Tarsus? Are Mary Magdalene and Judas Iscariot (Sicarii) to be counted among the first great champions of religious freedom and philosophical thought in the modern world? Were they among of the early leaders of, what we today refer to as, the feminist movement? Was Mary Magdalene a Jewish or Egyptian Princess? Was Judas Iscariot (Sicarii) merely a “tax collector” as we have been lead to believe? Did Mary Magdalene carry within her DNA structure the Blood Royal or Sang Raal of other equally (or more important) ancient cultures; an mt-DNA lineage, whose nano-data is critical to the future development of our Adamic Race and our long-term genetic goal-state? Here’s hoping you’ll enjoy and participate in the extended civil discussions and continued pursuit of truth through by courageously exploring and searching for the hidden mysteries… we welcome all individuals who, are genuinely interested in making discovery of truth, particularly as regards the numerous inaccurate descriptions of the many well-known biblical leaders such as Mary Magdalene, Judas Iscariot (Sicarii), Saul (Paul) of Tarsus, and the Essene Community at in general. I do believe that there are some things about Mary Magdalene that the leaders back then try to cover up, just to keep woman down and not come into leadership, but as we can see nothing can stop that, I also believe woman was one of the first to start campaigning after J.C was delivered from death.